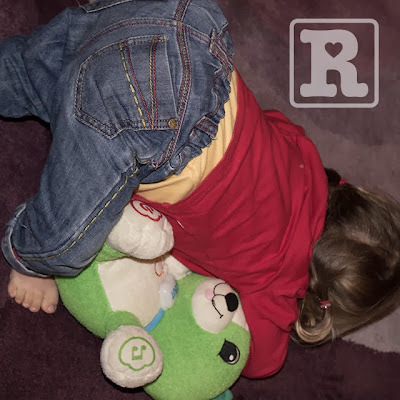 Those of you that have followed the blog from the start will know how much Rosie loves the Tom Petty tune 'Freefallin' (see The Tom Petty Effect). It has become a firm favourite of hers since we discovered at about 11 months old the calming influence it has on her whenever she's upset. Rosie regularly listens to it and has become so familiar with the tune that on Sunday she decided to have a crack at singing along to it. The video is really cute to watch but more importantly it shows another sign of progress – okay, if you didn't hear the tune in the background you wouldn't understand what she's singing and to many it will just sound like random babbling but she knows exactly when the chorus kicks in and seems to sing in time to the verses. It felt like quite a big step forward in her speech and I couldn't help feeling really proud listening to her sing along. I mentioned at the end of my last post (with regards to getting onto her feet) how Rosie will do things when SHE is ready and how SHE wants. Well as expected she hadn't shown any further interest since getting the new shoes – that was until a couple of days ago when we discovered her, unaided, pushing her weight onto her feet, sticking her bum in the air and balancing on her head. It's difficult to explain but I got a quick snap (below) that I hope will help visualise it! We've never seen her do this before and can only assume it's her way of experimenting with balance whilst developing confidence to get upright. Maybe the next stage will be onto hands and feet then (hopefully) eventually fully upright. Knowing Rosie she'll never do it again but it has happened three or four times so we can always hope! 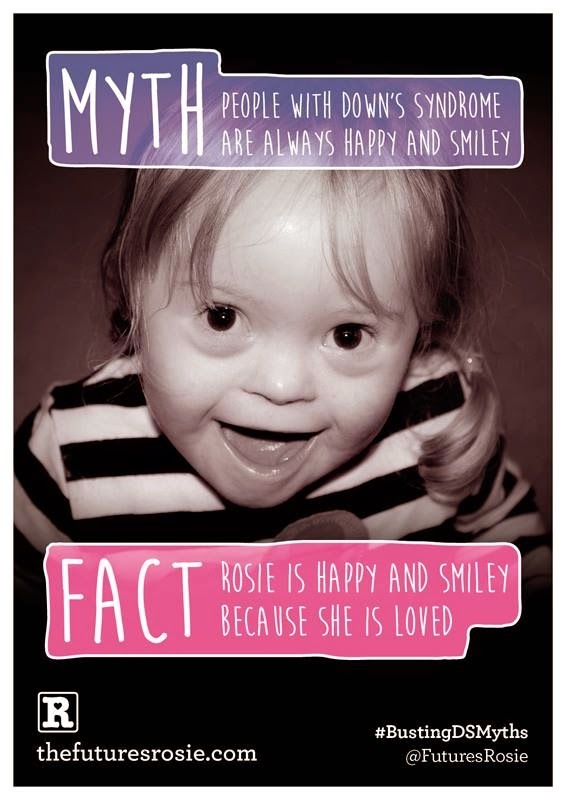 I've also included a poster below which I created with the hope it might help towards shifting some common misconceptions associated with Down's syndrome. If you like the poster please do not hesitate to lift it from the page and share as you wish on Facebook and Twitter etc. Free Fallin' from SwissBaldItalic on Vimeo. I LOVE it! She knows exactly what it's saying and what she is singing! Thank you for sharing! I love seeing her in action! I love the poster too! Much love from Utah! That is totally amazing, I'm blown away. I reckon I could've guessed what song it was. She is sooooo adorable. My 22month old does that position we call it the down dog, because it's like the yoga pose. Amazing video, thanks for sharing!! Yay Rosie! FREEEEE! Brilliant singing darling, we're joining in with you. We are talking about re-starting speech therapy with Marcus now that he has a great Music Therapist who he LOVES to learn with and is so focused and lucid every session. I found your beautiful blog this morning after receiving our nuchal screening results. Your daughter is just precious...and a much better singer than I. Thank you for writing this blog, we are off to speak to the hospital about our results tomorrow. I blog over at keep-up-with-the-jones-family.com, I'll be reading your blog from top to bottom now I've found you.